Spasms of Accommodation: Gizmodo, big no-no. Bury it, don't skin it. So the Gizmodo iPhone debacle is raging. I've been reading the discussion on Phil Plait's Facebook comments. Somebody posted this link which explains the legal issue pretty well. Basically it says the trade secrets thing is kinda void since Apple let the thing out for real world testing. But the finder clearly broke the law by selling it and the buyer for buying it. Which brings me to the only personal experience I have similar to this. I was working with Dr. Bruce Means on his natural history of the eastern diamondback rattlesnake. He sent out an email to me and similar people (scientists who live in the woods) asking for a few more specimens to dissect. If we saw any dead on the road that weren't killed all over and were pretty fresh he wanted them. So I was driving down the road about 70 mph and I saw something big and scaley so I turned around and went back for it. It wasn't a giant rattlesnake like I hoped, but just the underside of a small alligator instead. It was lightly killed and still floppy, so I scooped it up in a plastic bag I had in the car since I'd already stopped. 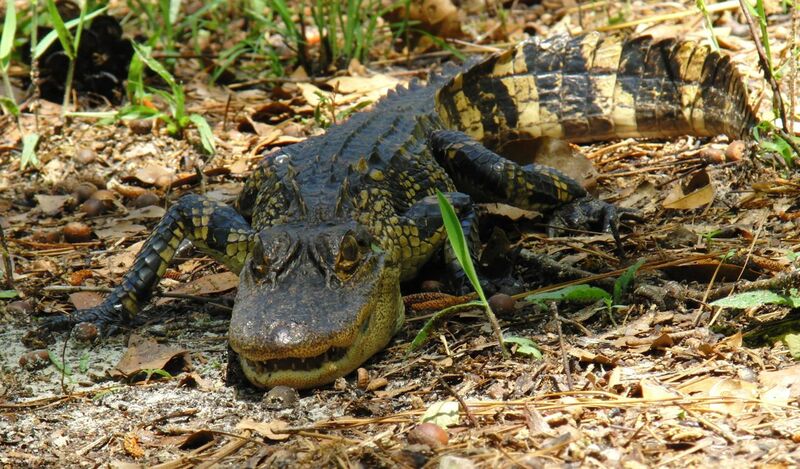 I wasn't really sure what to do with it so I called my cousin to see if there were any boy scout merit badges for skinning or dissecting stuff -- would his sons like to study the anatomy of an alligator? He said he wasn't sure that was legal. Oh yeah! I hadn't even thought of that! You have to have a special permit to kill an alligator. Maybe there are rules for ones you find dead on the road too. So when I got home I got the alligator out of the car and hung the bag up in a tree while I came inside and looked up Georgia and Florida statutes on alligators. I was actually pretty nervous that I carried it across the state line. Sure enough, what I found out is that in Georgia you aren't allowed to possess the skin of an alligator unless you have the permit to kill one. Pretty sensible. And Florida law for roadkill or otherwise dead alligators is that there is no agency responsible for disposing of them. You are supposed to just leave them alone, or if it's bothering you then you can bury it. So I got the post hole diggers and buried the alligator behind the shed. Now this is just me with some stupid roadkill and one phone call to my cousin and I had the sense to look into the relevant law. How in the hell did somebody with $5000 to pay for a bricked prototype iPhone not think it was worthwhile to look up the law on the internet first, or maybe even consult an attorney before skinning the thing? This is not the dead alligator in question. This is a slightly larger perfectly healthy one that I saw last year walking down one of our fire lanes, far from the 70 mph highway of death.